‣ Rappid 2.2 now available. ‣ Check out our other product AppMixer! ‣ Rappid 2.4 is available now with new fixes and features. 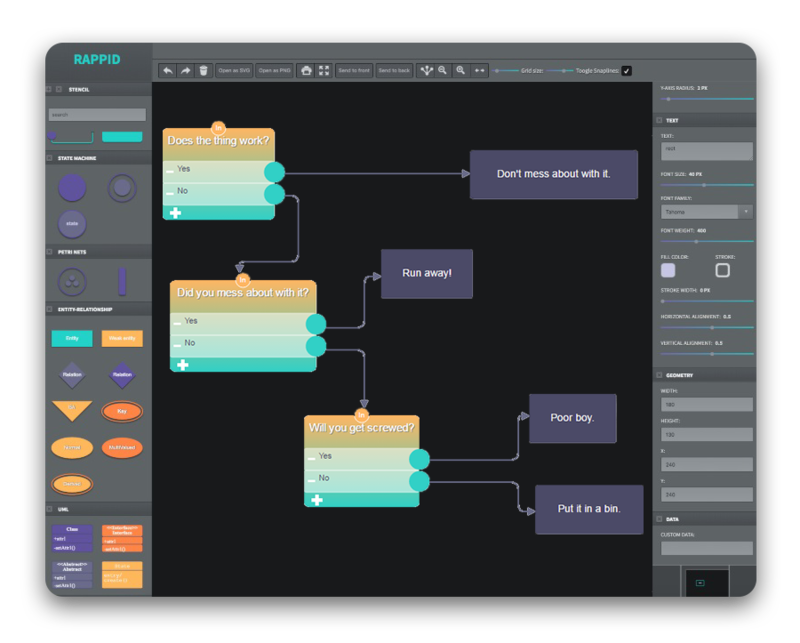 ‣ NEW VERSION of our automated workflow system Appmixer is out! ‣ Our affordable custom development services deliver your solution quickly. Create Flowchart, BPMN and many other unique diagramming editors with ease. 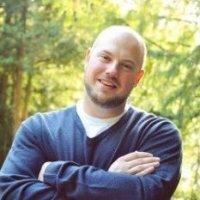 Need a custom solution fast? We can build it for you! 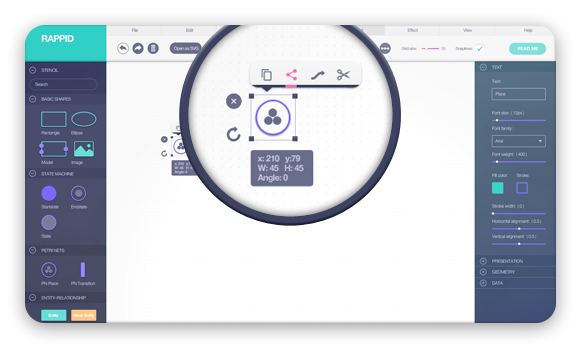 Rappid is a diagramming framework for advanced applications, delivering the best of HTML 5 + SVG and providing you with the right tools to build outstanding products. Create your next visual tools in days, not months, by focusing on your underlying business logic instead of worrying about the UI. 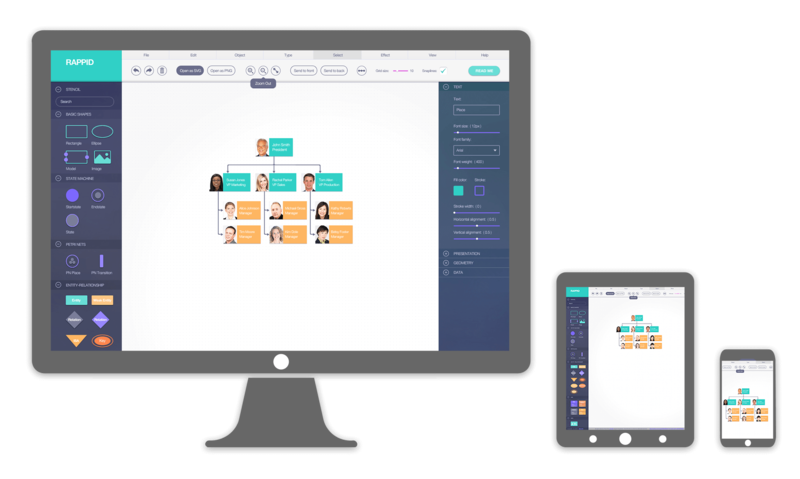 Enjoy interactive flowcharts, diagrams, graphs and more directly inside your apps, and enable users to manipulate the data from within. Every part of the user interface can be customized to match your experience and brand, and can be embedded in any page, and communicate via AJAX and JSON with any back-end. There are many ways Rappid can bring your visions to life. Integrate a visual interface to workflow systems such as IVR, ETL, marketing automation applications and more. Quickly create Business Process Management tools, and connect any backend technology via JSON Ajax. Build project management applications with highly interactive, visual, and customized components. 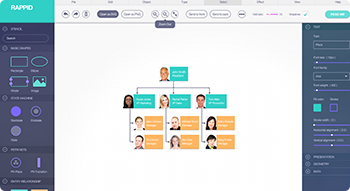 Build diagramming applications such as Org Chart Editors, Mind Mapping Tools, Flowchart Editors and more. 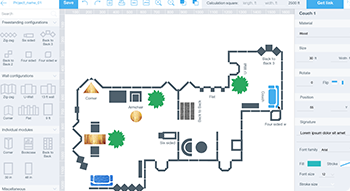 Add a floor planner editor to your applications dealing with floor layout, event planning and others. Design a dependency management interface to make it easy for app users to follow dependencies in a visual way. Rappid works across all devices so you can deploy an unlimited number of commercial applications with full access to source code. You can easily expand and customize Rappid's functionality. Here are some popular examples of the many plugins available. A configurable control panel above diagram elements to keep important tools close at hand. Element palette with accordion like grouping for quick and easy access to what you need. 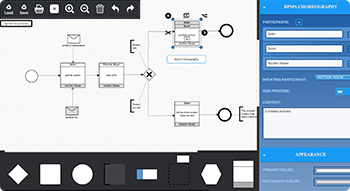 Export your diagrams to other useful formats such as JSON, PNG, JPEG or SVG. Resize your elements on all sides and in any direction, including when rotated. 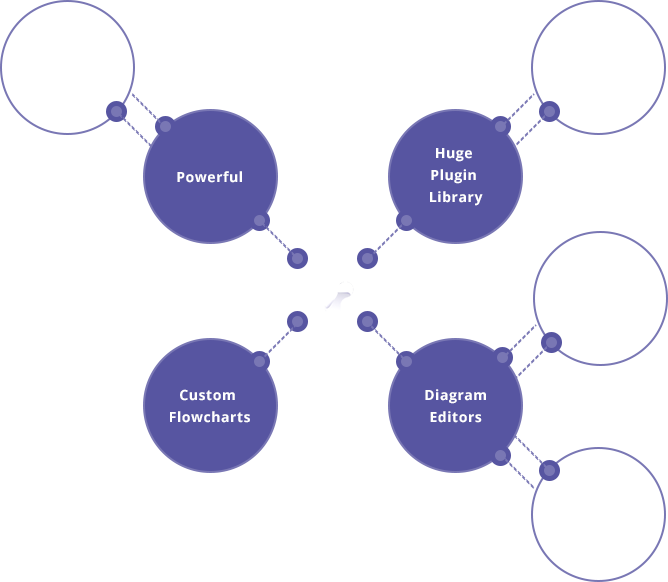 Automatically and conveniently layout your elements in a tree, grid, or any directed graph. Undo and Redo actions down to an arbitrary level and as often as needed. Plots, Bars, Area, Pie & Donuts, Matrix and Knobs. Charts are an element that you can use like any other shape. Automatic tree layout of elements is great for org charts, class inheritance, sitemaps and other similar structures. A high level API to conveniently and efficiently store graphs and any other documents in a browser's local storage. Make sure your documents are always in the state you need them to be by automatically cancelling invalid actions. 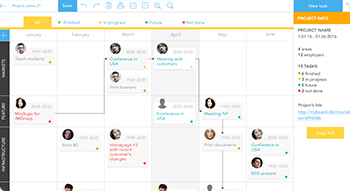 A great feature that allows you to bring real-time collaboration to your applications. Display your info messages anywhere in the user interface while also supporting HTML content. You can read more success stories and use cases here. 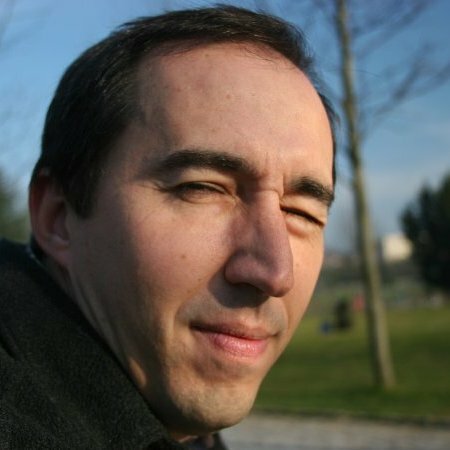 "Rappid was really a great find, as it gave us a great boost in the diagramming frontend of our application. These guys know their business and give you a great support on your development. 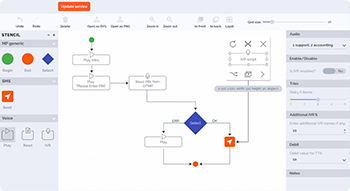 One of our requirements was to have a BPMN diagram support in our app and they quickly supplied this as a plugin to Rappid!" 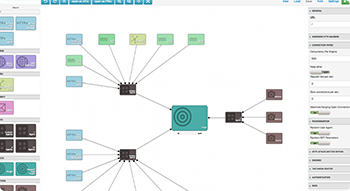 "The Rappid toolkit is the best solution we found as a full fledged diagramming library for the web. The client IO team has been extremely responsive to our needs and it’s been great to help contribute back to the product throughout our development process." 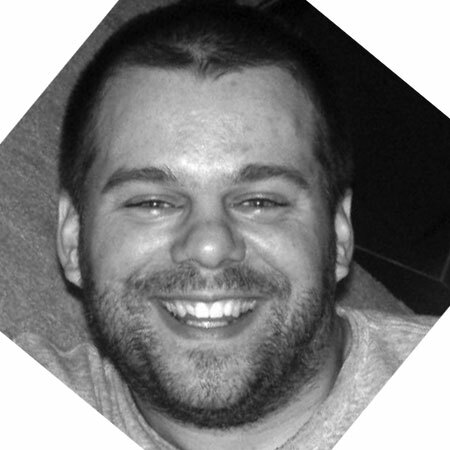 "Thanks for making JointJS and Rappid available, and for continuing to refine it. It is doing exactly what I need." Free, fully functioning, no commitment. Many examples to explore, complete with source code. Flexible licensing to meet your needs.